"The Liebster Award is for bloggers with under 300 followers and the rules of the award is that the nominee must link back to whoever awarded them, write 11 random facts about themselves, answer the 11 questions from the award giver, and then nominate another 11 bloggers and make up 11 questions for them to answer. It's a great way for new and undiscovered bloggers to meet new people, get more followers and find some blogs that they want to follow." Now I'm not into chain things but I was chuffed to receive this award from the awesome Jen at Little Birdie. Also I'm not that comfortable with blahing about myself but I think this is a positive award and makes for a good read. And promoting small and new blogs is no bad thing. 2. I'm scared of driving over high bridges. 3. My OCD habit is to flatten, fold up and neatly tie a crisp packet when I've eaten the contents. 4. 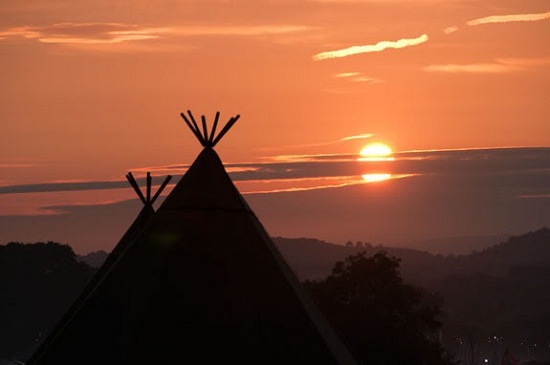 I'd like to have my ashes scattered over Glastonbury Festival site (been 4 times). 5. I'm not scared of spiders. 6. I am a very annoying lark - I never need an alarm clock to wake up. 8. I have taken part in a slam poetry competition. 9. I'd like to run a marathon before I'm 50. 10. I was vegetarian until I became pregnant (18 years ago) and craved steak. I would quite like to go fully veggie again. 11. I look rubbish in hats. if you could only eat one thing for the rest of your life, what would it be ... goats cheese...yum! 1. If you could live in another decade which would it be? 3. What's your favourite city? 4. Kindle or real book? 5. What are you scared of? 6. What's your favourite item of clothing? 7. What's your musical guilty pleasure? 9. If you could be an animal which one would it be? 10. What's your favourite mode of transport? 11. Do you text with one hand or two? 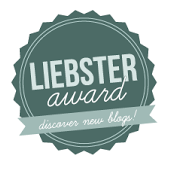 And finally here are 11 blogs that I would like to pass the Liebster award on to. I've picked a variety of styles but they are all well worth reading. Some may have already been nominated (or may be award free) but hey ho they are all small blogs worth promoting! And for my other favourite blogs please check out my side bar as they're all great. Loved reading these things about you. We have 1,2,3 6,& 7 in common! When I think of bridges I think of the Prince Edward Island Bridge (my blogging friend Jane has a house there) - if you don't know it google it - terrifying lol! Thank you for nomination and congratulations on yours; most deserved. Loved reading your answers Claire and getting to know you a little better - and what would your answers be to the questions you posed for the other lovely bloggers? It's a great idea for introducing us to some blogs about whom we may never have otherwise known. Glad to hear you are thinking of returning to a vegetarian diet! And many thanks for this award! I feel honored! Ah! Thank you so much for including my blog! :) By the way, I look rubbish in hats too - especially wool hats (which is a shame, because I like wool hats...). Thank you so much for nominating me for the award!! Will be writing my acceptance post very soon. I smiled a whole lot when I saw my blog in the links! !